Since our inception in 2003, Pakmen Volleyball Club has offered one of the most successful beach volleyball training programs in Canada. Pakmen has routinely produced provincial and national beach volleyball champions. 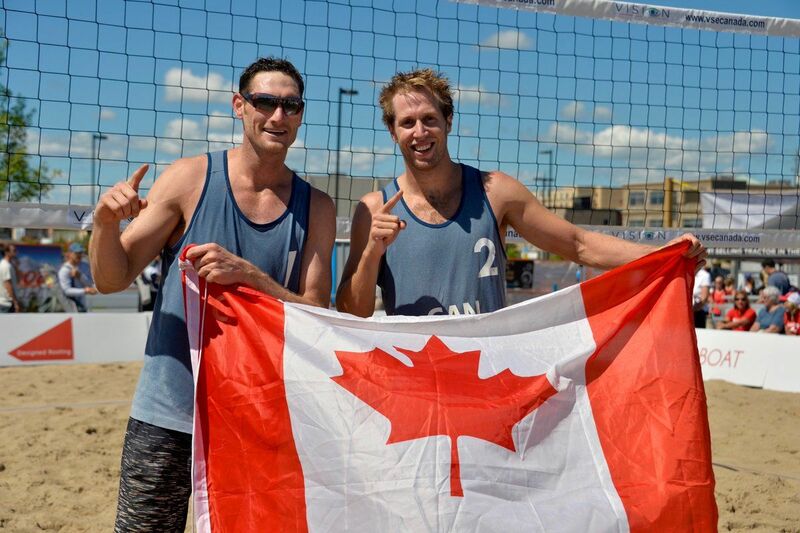 Indeed, at the 2018 Volleyball Canada Beach National Championships, there were more Pakmen athletes on the podium than all other clubs in Canada – combined! Athletes selected to be in the Elite Beach Program will train twice a week for the entire summer (End of May-Mid August). 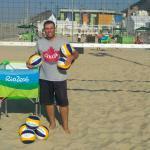 Training sessions will be led by experienced coaches who have been a part of the Elite Beach Program for many years. Coaches in the program are mentored by 3-time Olympic Beach Coach Lennard Krapp. He will be working with coaches in regards to structuring the beach season and providing them with professional development. 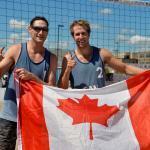 Please note athletes do not need to compete in the OVA Beach Tour to be a part of this program. 2016 Olympic beach volleyball coach Lennard Krapp will again design and oversee both the girls and the boys programs this summer. 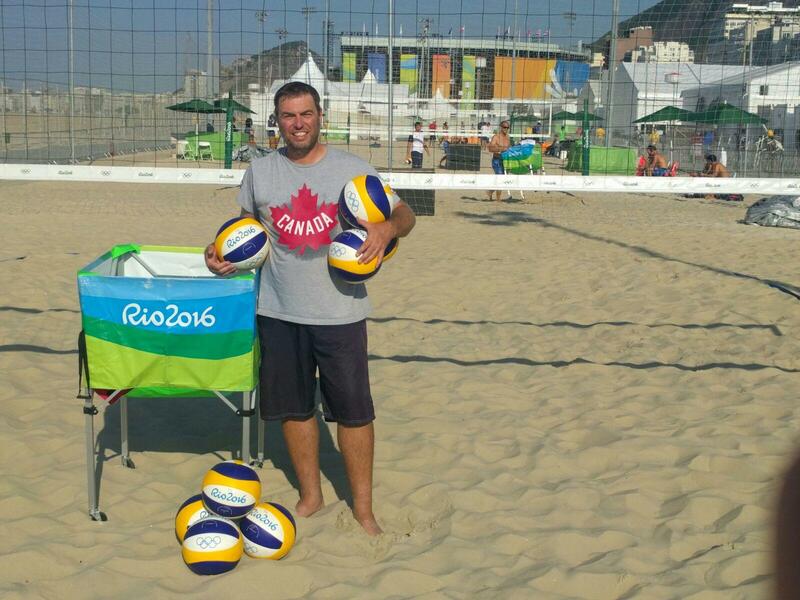 Coach Lennard represented Canada at the 2016 Olympics in Rio as the head coach of Sam Schachter and Josh Binstock and is currently the coach of the #1 ranked women’s team in the world – Heather Bansley and Brandie Wilkerson (former Pakmen coach). We are excited for him to share his international expertise with our coaches as well as our athletes. The boys teams will be coached by Jessy Satti and Parvir Jhajj and the girls teams will be coached by Aleks Mamuzic and Kadeem Clarke. If you were in the Elite Beach Program last summer you automatically pre-qualify and can register below for the program. Spots are limited and it will be based on a first come first serve basis. Try-outs will be held during the first week of training if there are any open spots left. If you were not in the program last summer but are an experienced beach player please contact us at contact@pakmen.com with information in regards to your skill level (OVA Beach Tour results, previous training etc..). Tryouts will be held the first week of training. You do not have to register or pay for tryouts, just show up. *Please note that try-outs are for athletes who have not pre-qualified for this program. If you pre qualify for this program you can register immediately for the appropriate age group. *Please note that this is based on first come first serve, spots are limited. Note: 4:30 pm to 6:30 pm practices will be moved to 4 pm to 6 pm and 6:30 to 8:30 pm practices will be moved to 6 to 8 pm later on in July when it begins to get dark earlier. *For the complete list of dates please scroll to the bottom of the page. *Please note: Online registration is only available to those that have been selected to this training program.